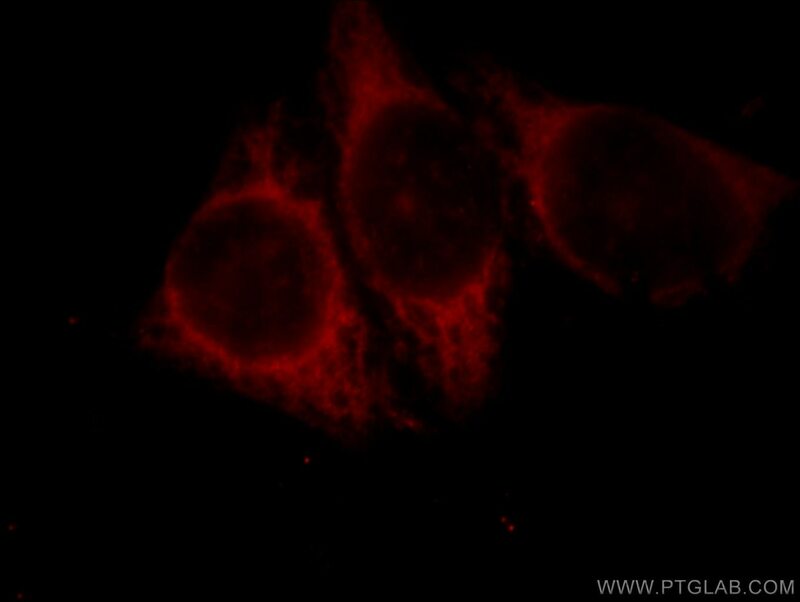 Immunofluorescent analysis of Hela cells, using GLRX3 antibody 11254-1-AP at 1:25 dilution and Rhodamine-labeled goat anti-rabbit IgG (red). 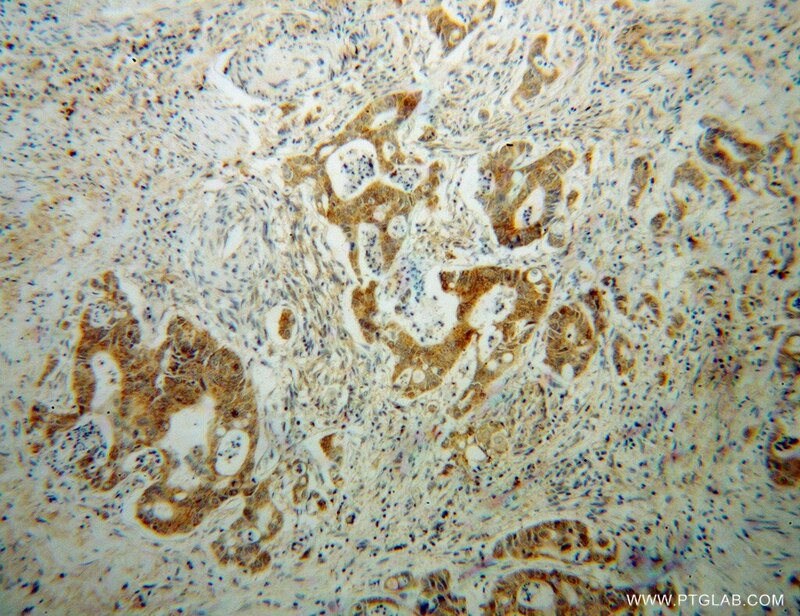 GLRX3(Glutaredoxin-3) is also named as PICOT, TXNL2. 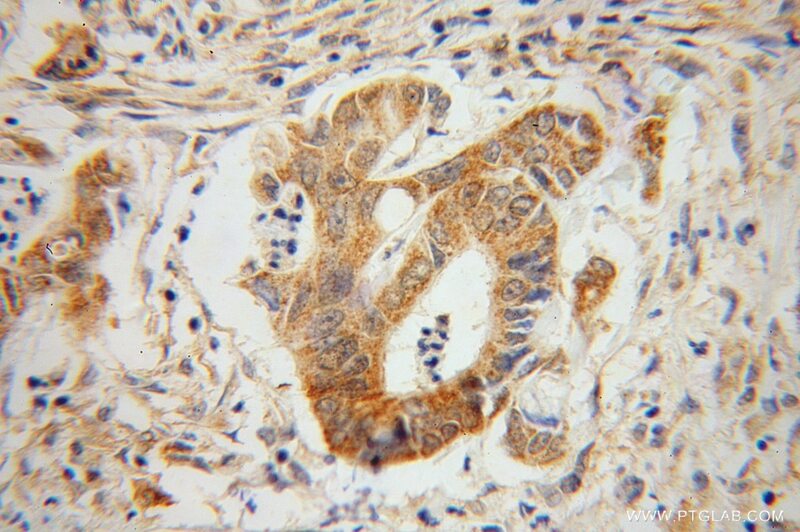 Mammalian glutaredoxin 3 is an essential protein involved in the regulation of signal transduction, for instance during immune cell activation and development of cardiac hypertrophy, presumably in response to redox signals(PMID:20226171). 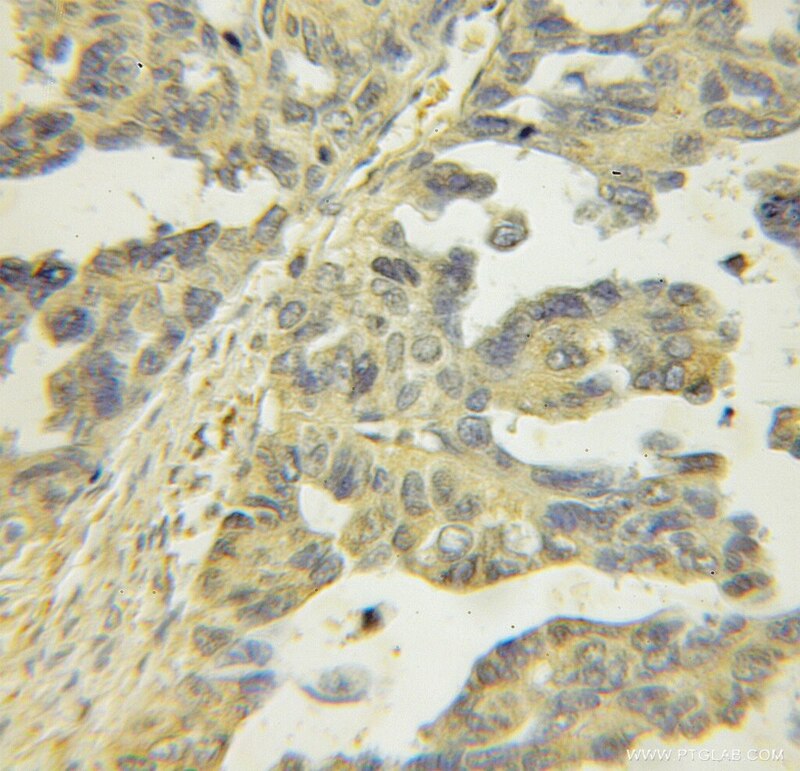 Glrx3 could take a pivotal role in colon and lung cancer cells during the tumorigenesis, which is expressed in lung and colon cancers consistently and preferentially(PMID:19797004). Proteomic analysis in lung tissue of smokers and COPD patients. Cytosolic HSC20 integrates de novo iron-sulfur cluster biogenesis with the CIAO1-mediated transfer to recipients.